In Part I of this post, I discussed some tech developments that may end up making video-calling with children a more common form of communication during Florida time-sharing, and some potential disadvantages. If the issue is the best interests of the child – what is best for children here? Is it better for children to have more contact and connection with the other parent and a sense of their relationship with their other parent being very much present during time-sharing, or better for time-sharing with each parent to be more separate time, and for the child to experience it as separate time with more of a boundary, for lack of a better term? There’s been a focus recently on “empirically based” parenting plans – i.e. making time-sharing decisions based on what psychologists and research indicate is best for children. This is probably an area where input from experts will help, when parents have a difficult time agreeing about what’s best for their child. One area where research has had an impact is in the move to frequent contact, without long breaks, for younger children, based on attachment theory – i.e. basically that it’s better for young children to not go a long time, e.g. a full week, between visits with each parent. Research and expert opinion may end up helping us with the issue of video chatting as well. One situation where webcam communication is already regarded as something good, is where the parents live far from each other, limiting contact with one parent, for example after a relocation. One issue with video-calls may be that it’s still a relatively new technology, in the sense that most of our telephone calls these days are audio only, not through video phones. I think there was probably some resistance to touch-tone phones when they first came out as a new technology. Video-phones may one day be a common-place form of communication. Another important issue for parents which this topic raises, in my opinion, is that if parents don’t want research or experts or the court deciding what’s good for them and their children, then parents can reach agreements themselves regarding how they want to raise their children. Parents’ rights to their children and to make decisions regarding their children, within some limits, are actually constitutionally protected rights. I think most parents probably put a lot of thought into how they want their children to grow up, and the values or way of life they want to pass on to their kids. There’s always plenty that each of us can learn from therapists, experts or research, but each child growing up with the influences from their own family is probably a lot of what makes each of us unique – which, for the most part, is not a bad thing. So, if parents want to preserve their right to raise their children in the way they want, they can try to put aside their differences and try to reach agreements regarding children’s issues. There are legitimately times when that is not possible, where there are fundamental differences of opinion and a “compromise” is not possible, but trying to agree where possible or even when it doesn’t seem possible – is something to keep in mind. There were some tech announcements recently that I think eventually may lead to changes in parents’ contact with their children during time-sharing time with the other parent. You may have heard that Google announced it’s new service, Google+. One of the key features is easy to use webcam conferencing built into Google. Not to long after Google’s announcement, Facebook announced that it had purchased Skype and was offering video conferencing as well. There is an interesting “podcast” here about Google+ with some of the Google developers on the show, via a Google+ video conference to illustrate the technology. 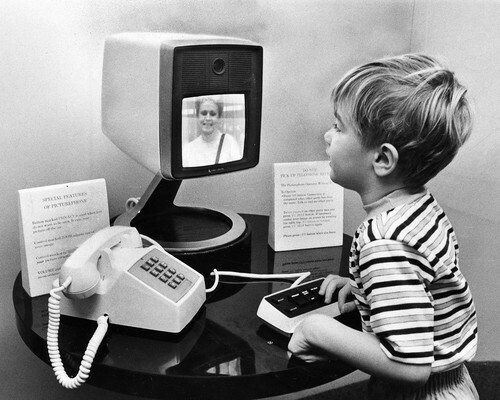 Video-calls aren’t anything new. Parents have already been using video to stay in touch with children during time-sharing, and it’s not a new topic in family law commentary, blogs etc. Also, references to parents communicating with their children via video/webcams are already in Florida time-sharing statutes (e.g. F.S. § 61.046(5) and F.S. 61.13001(9)(a)). It’s been reported pretty widely in the press recently that the Court in the Charlie Sheen and Brooke Mueller custody dispute, did not grant Mr. Sheen’s request to change custody of the couple’s children (Chicago Sun-Times report). A point to remember for Florida parents involved in time-sharing cases, is that parents in Florida cases can request the court to change or enter a temporary time-sharing and parental responsibility order while their divorce case is pending. The request can be made as part of a divorce petition or by a motion filed after the petition. The Judge can enter a temporary order specifying what time-sharing will be, can order a parent to undergo a mental health or substance abuse evaluation if there is concern about the well-being of a child while he or she is with one of the parents – the court has a lot of power and discretion when it comes to entering orders to protect children. Temporary time-sharing and parental responsibility can also be determined in a domestic violence injunction hearing.